Step inside René Caovilla's atelier in Italy and you'll find trays of sparkling crystals and stones sitting atop of the artisans' work stations. 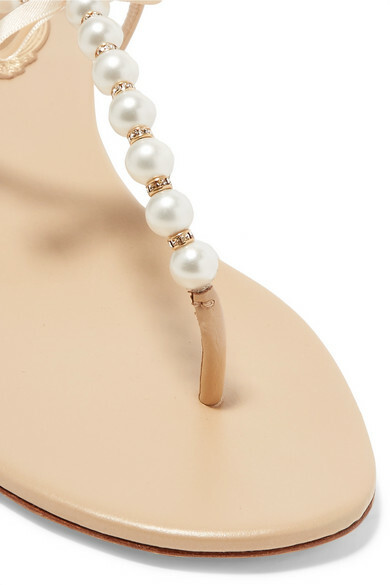 Made by hand in a process that can take 48 hours, these T-bar sandals are cut from smooth gold leather decorated with lustrous faux pearls. 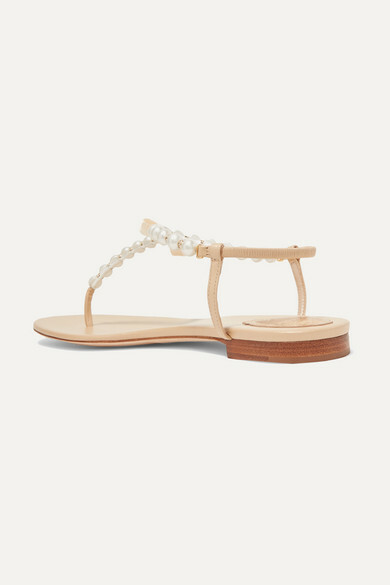 They're detailed with an adjustable buckle fastening slingback strap to ensure you find a perfect fit. Shown here with: Gabriela Hearst Shorts, Nanushka Top, REJINA PYO Bucket bag, Leigh Miller Earrings.